Candidate Rohan represented The American Legion at the Landlord Engagement Event in Madison, WI. Date(s): 04/06/2016. Album by Mike Rohan. Photos by Mike Rohan. 1 - 6 of 6 Total. 366 Visits. Candidate Rohan with Madison Mayor Soglin and Elisha Harig-Blaine from National League of Cities. Elisha has also taken part in American Legion Homeless Veteran Roundtables during National Conventions. 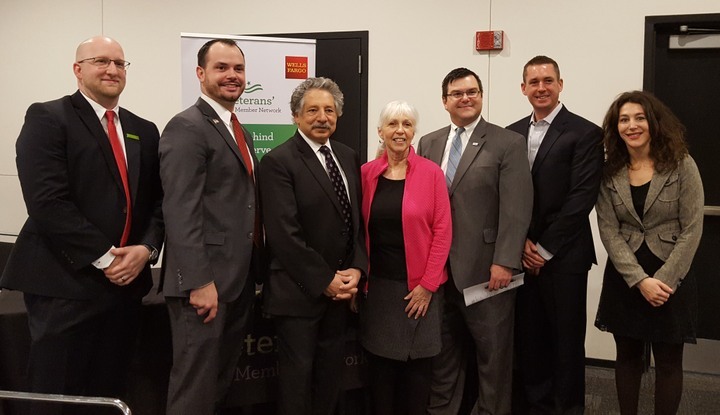 Mayor Soglin presents Jill Oelke from Common Wealth Development with a Wells Fargo gift card. Wells Fargo's Craig Charlton presents door prize to the winner.